All County Fire, Inc. has been proudly serving the fire safety needs of its customers since 1975. With over 40 years in the industry and thousands of satisfied customers, we have earned a reputation of quality service with the highest integrity. We at All County Fire have strived to maintain the quality, small company personal service to which our customers have become accustomed, all the while striving to meet our customers’ ever growing and diverse requirements. We achieve this through our staff of fully licensed service technicians who continually receive training on the latest regulations concerning fire safety. Our goal is to make sure our customers have the peace of mind that their property will meet the litany of legal codes and regulations imposed by local, state and federal jurisdictions. 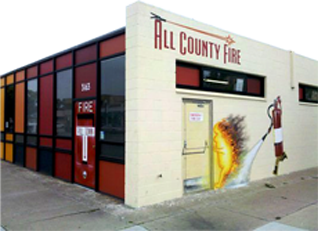 All County Fire, Inc. is a single source for all your fire safety needs. We offer a complete line of fire extinguishers and services for all industries and applications. We also offer a live fire extinguisher training “P.A.S.S.”, which combines classroom education with hands-on experience. 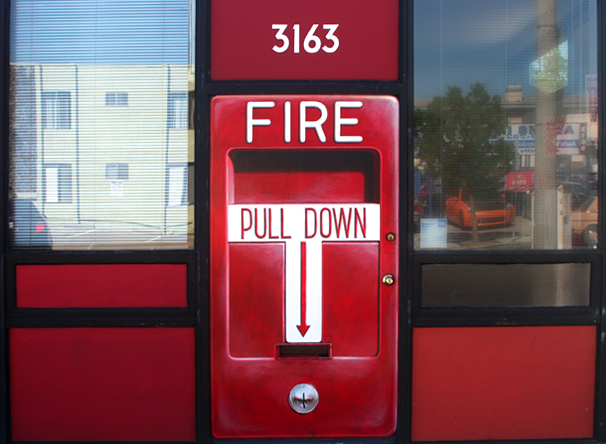 We offer fire alarm testing and repair services, as well as fire alarm monitoring. We are now proud to provide Imperial County the same great service we have always provided to our customers in San Diego County.